"I've seen people with actual experience make bad decisions." Paramount has debuted a trailer for the new comedy Whiskey Tango Foxtrot, based on the memoirs of Kim Barker, a TV news journalist who ended up covering the war in Afghanistan and Pakistan. Tina Fey plays Kim Barker, and when she gets there she meets one of the only other women covering war, played by Margot Robbie. The cast includes Billy Bob Thornton, Martin Freeman, Alfred Molina, Josh Charles, Sheila Vand and Christopher Abbott, which is an impressive line-up for this film. This looks better than I was expecting, and I appreciate that the comedy is a couple notches above the kind of dumb humor Hollywood usually puts in. Give it a look below. A journalist (Tina Fey) recounts her wartime coverage in Afghanistan and Pakistan. Based on the book "The Taliban Shuffle: Strange Days In Afghanistan And Pakistan" by Kim Barker. Whiskey Tango Foxtrot is co-directed by filmmakers Glenn Ficarra & John Requa, of the films I Love You Phillip Morris, Crazy Stupid Love, and Focus most recently. The screenplay was written by comic Robert Carlock (writer for "Saturday Night Live"), adapted from Kim Barker's book. 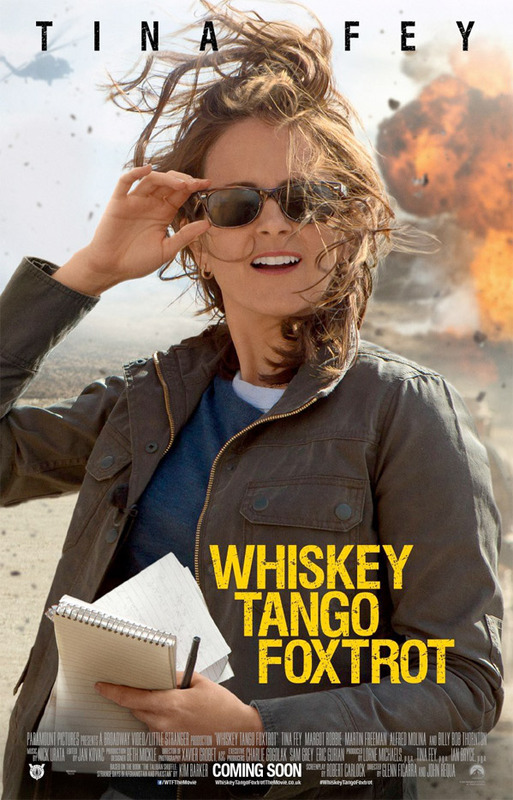 Paramount will release Whiskey Tango Foxtrot in theaters everywhere starting March 4th, 2016 next year. For more info on the film, visit their official site. I like this. Reminds me of Ishtar. hah thats a good thing? I can't belive they brought you back in The Force Awakens, and that your face was STILL wrong. Saw that last joke coming, just like Randy Quaid in that one video. Fey is better as an actress in other people's movies. I know her tenure as the head honcho and actress of 30 ROCK was amazing, but in films, she shines when she is just getting to act. Did quite feel like a full on comedy, looks neat though, will redbox. I actually laughed....I think you're right about not the normal Hollywood slapstick. At least I hope so.